How to check system installation date in Windows computer? 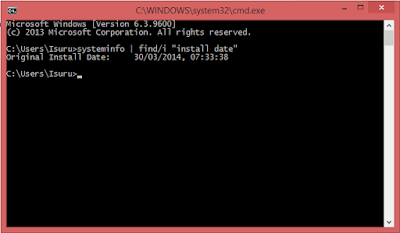 If you want to check windows installation date, go to command prompt and type the following command. systeminfo | find/i "install date"
And you will get something like this. How use getContentResolver in a class without activity? In android development, methods like getContentResolver() need context to call these kinds of methods. But some classes does not have Context. In those cases it is used like this.